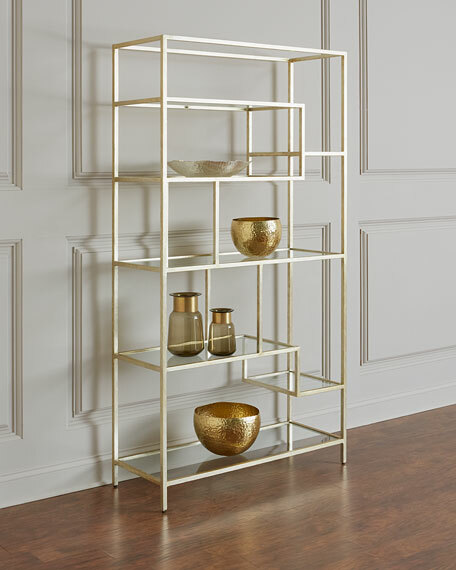 Visually appealing etagere featuring distinctive lines and offset shelves that have the appearance of floating. 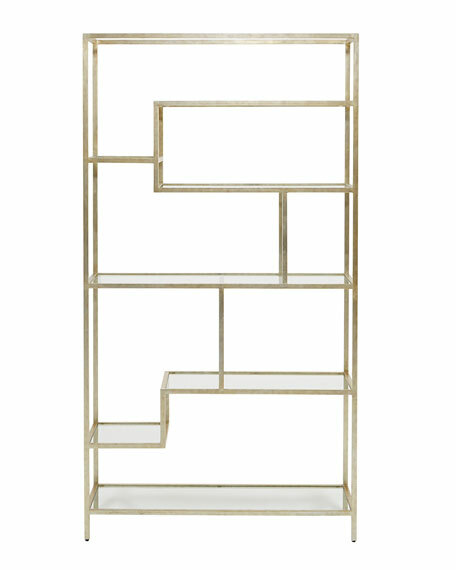 Crafted in tubular iron with silver leaf and glass shelving, it provides a unique option for a room divider, display unit or as a focal point for the room. These beautifully scaled and designed bookcases, etageres and curios offer the best home your books, mementoes and cherished photos will ever have. Handcrafted etagere in silver leaf finish. 42"W x 16"D x 80"T.
Light assembly may be required to put glass shelves in place.